Left to Right: Frances Hunter on the steps, Me, and Larry Holcomb. 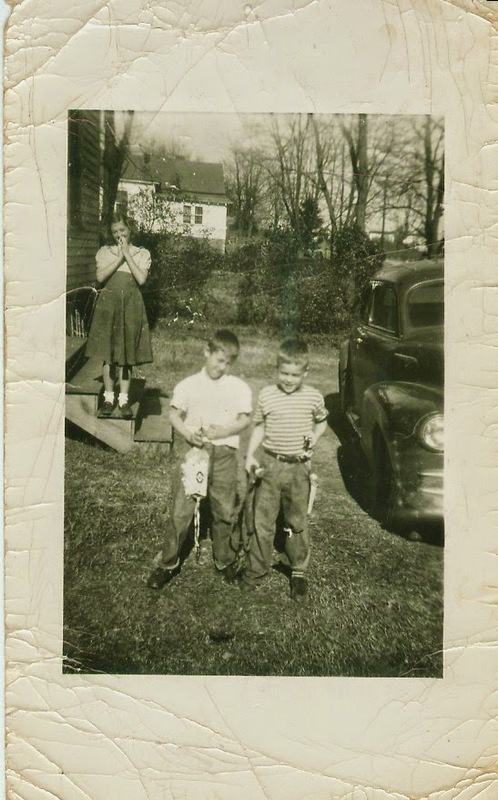 Larry and I were a couple of bad asses with those cap guns. I know the time was about noon. If it was after 4:00 we would be inside listening to THE LONG RANGER on the radio.